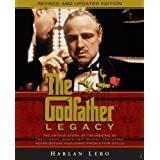 If you are a fan of The Godfather film , book , or game [godfatherwiivideo, godfatherlegacy, godfather360, godfather], you'll enjoy The Godfather Legacy by Harlen Lebo . Lebo's book is a fascinating account of the making of the classic films. The writing style is captivating and easy to read without any trace of the Hollywood gossip-style "journalism" so common today. 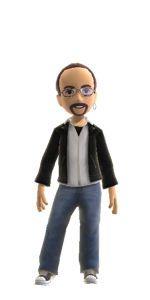 Anyone who has tried creating a film or a video game will recognize many of the trials, troubles, and ultimate successes experienced by Francis Coppola and producer Al Ruddy. Gianni Russo, who played Carlo, spent $2,000 to create his own unsolicited audition tape. Marlon Brando never seemed to memorize his lines, instead relying on cue cards hidden in every scene. The legendary scene showing the transfer of power from Vito to Michael Corleone was rewritten in practically a single night by a "script doctor" hired at the last minute.